Isn’t it ironic how the simplest task suddenly becomes a stress-inducing or completely overwhelming mountain to climb when we haven’t made a plan? Take grocery shopping for instance. It really shouldn’t be that hard, right? But what usually happens is we wind up at the store and load up the shopping cart with all of the items we “think” we need for the week and a few extras for good measure. If you’ve forgotten your shopping list, this is definitely a setup for another trip back to buy even more items, and probably blow your budget. 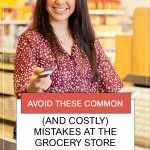 These simple mistakes at the grocery store could lead to habitual overspending or chronic time-wasting. Forgetting your shopping list is just one minor example of a grocery store blunder that can cost you extra time and money. And let’s face it; none of us can afford to waste either of those resources. 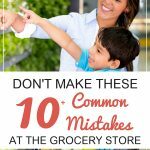 So we’re going to talk about all of the common grocery store mistakes that you need to avoid; the ones that eat up your time and drain your bank account every month. Why? I want you to finally stop feeling so flustered when it comes to planning meals for your busy family and grocery shopping every week! I’m going to break each shopping error down for you and also give you the tips that have worked for me, my friends, family, and countless clients over the years. Being in a hurry or being pre-occupied with a million things on your mind is no good when you’re about to swipe a credit card. 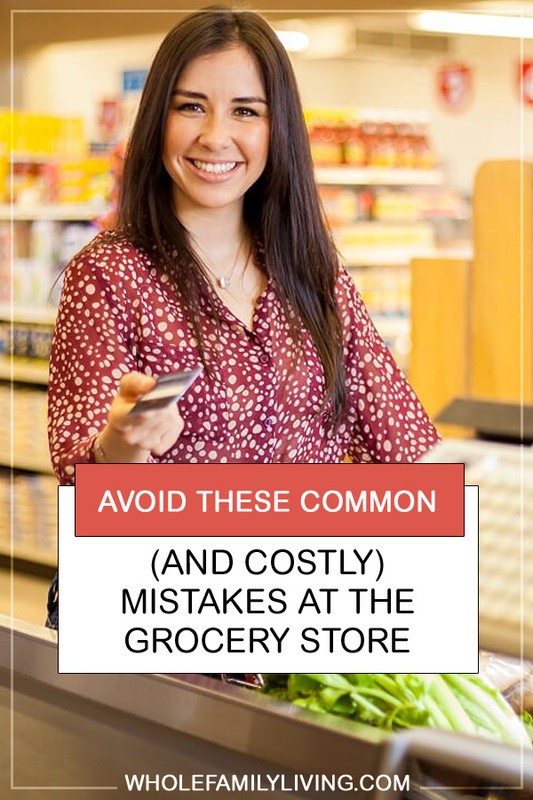 Having too many things going on, being engrossed in a cell phone conversation or other distractions is a surefire way to mess up your grocery trip. You’re likely to put things in the cart that don’t need to be there, miss out on deals or even forget to pick up items on your grocery list. Before you know it, all of those mindless purchases are adding up to a large grocery bill. Or, you’re making multiple trips to the store each week to pick up things you forgot. Be present when you go shopping so that you can stay on task and stick to your list. When you have an active family there’s no doubt that things get busy. And sometimes even basic tasks – like making a grocery list – can get overlooked in the midst of it all. But organization is the key when it comes to smart and budget-friendly grocery shopping. Having your list (and checking it twice) is the best defense against overspending or wasted multiple trips to the store. Set aside time each week to create your grocery list which will be your GPS for finding the items you need at the grocery store. Are you in such a rush that you don’t have enough time to check your store’s flyer? You may be leaving grocery money on the table. Be sure to check the store’s weekly deals or seasonal specials for savings. Many stores offer savings on in-season produce and other healthy items. If it makes sense for your family size and needs, buy these items in larger quantities when they’re on sale. Do you head straight to the inner aisles of the store thinking that non-perishables may be a better deal? While there’s no doubt that most of the boxed, bagged or canned products have a longer shelf life, they are not necessarily the healthiest options available and over-consumption of processed foods may lead to other avoidable health problems down the road. When shopping in the interior aisles, check the nutrition labels for added sugars, sodium, artificial ingredients and preservatives. If you’re enjoying this article, I’ll send you more! Simply join my newsletter for weekly tips and solutions to help your family thrive in health, work, and home. 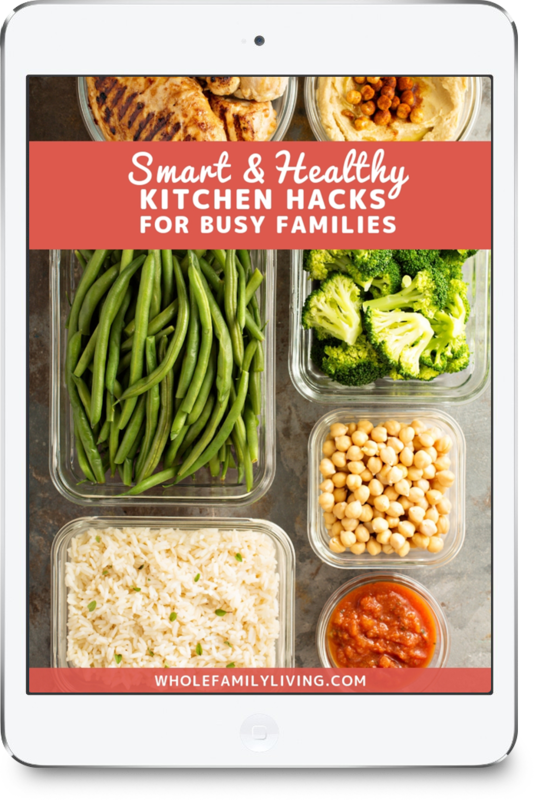 As a subscriber, you’ll also get immediate access to a FREE copy of my new guide “Smart & Healthy Kitchen Hacks for Busy Families.” It’s packed with tips and shortcuts to plan and prep healthy meals, cut time in the kitchen, and lower your grocery bill. Sign up to get your free copy below. Maybe you feel that buying fresh produce is too expensive. Think again! You could very well be passing up great deals (and healthier food options) by skipping this section of the store. My rule of thumb is to hit the produce aisle first. Just as we build a balanced plate by loading half the plate with produce, then fill up the other sections of the plate with proteins and starches, we should also be sure that our shopping cart is loaded first with healthy, fresh produce. If you’re finding that the fresh produce you buy is going to waste more often than not, you may want to consider adding the freezer aisle to your grocery store route. Not only can frozen fruits and vegetables offer you the opportunity to keep food lasting longer, oftentimes frozen produce is just as nutrient-dense as the fresh counterpart. Shopping in the freezer aisle is a great way to eliminate waste and save money on groceries while you’re at it. Most grocery stores these days have an app where they post their weekly specials and digital coupons. This could be a valuable, time-saving tool for you to make your shopping list and save big at the checkout counter. Check if your store has an app and start using it to manage your grocery lists and peek at a digital copy of the store circular and stay in the loop on all the deals. Are you still shopping exclusively in-store? You may want to look into ways to buy groceries online that can offer you a lot of the same products you find in the store, often at discount prices. Grocery retailers like Publix, Whole Foods, Safeway, and many others are now offering pick-up or delivery service, some using third-party delivery companies like InstaCart to deliver to their customers, usually within a couple of hours. If you find that going to the grocery store is costing you in time, gas, or money you may want to look at online shopping to fulfill most or all of your weekly grocery list. Do you come home with groceries to find that you’ve purchased duplicates (or triplicates) of the items that are already in your pantry or refrigerator? Nip this in the bud by shopping at home first before heading off to the store. Make your meals for the week based on what you already have on hand and fill in the blanks with groceries at the store. This avoids food from going bad and you from over-spending on every trip. Ooh, there’s a BOGO! Saving huge on these promotional items is every grocery saver’s dream, but don’t let them derail your healthy shopping agenda. 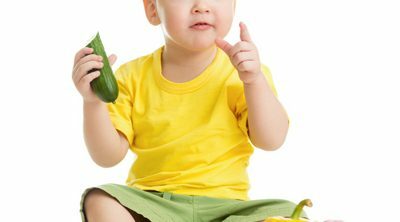 Before you veer off into BOGO-land, consider whether these products are part of your family’s healthy eating plan. Otherwise, the savings may not be worth it. Every item you buy at the store should have a purpose when it gets home. It should have already been included in your weekly meal plan for either a healthy breakfast, lunch, dinner, snack, or even a treat for your family members. Failing to shop with purpose is one of the deadliest mistakes at the grocery store, leaving the opportunity for overspending or a lot of food to be wasted. The ingredients you pick up at the store should fall in line with the meals you have (hopefully) planned for the week. When you’re busy, who has time to run back and forth to the store to pick up forgotten items? So, be prepared when you shop by planning out your meals in advance. 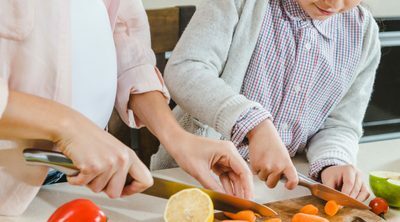 Rather than guessing what you’ll need, your list will allow you to shop with certainty that what you’re purchasing is what your family actually needs (and will eat!). If you’re not setting a budget for your grocery shopping you’re likely spending too much and wasting your hard-earned cash. While I don’t suggest that you become an extreme couponer (unless you want to of course) I do recommend that you look at your overall grocery spending and make efforts to reduce it. Track your grocery expenses by saving your receipts for a 30-day period. This will give you insight into how much you’re actually spending (or overspending) on groceries. When you have figured out your “typical” monthly amount, do a little calculation (usually dividing by 4 works) to come up with a weekly grocery budget. If you want to challenge yourself, try to reduce this amount by 10% each month as you get better at sticking to your budget. 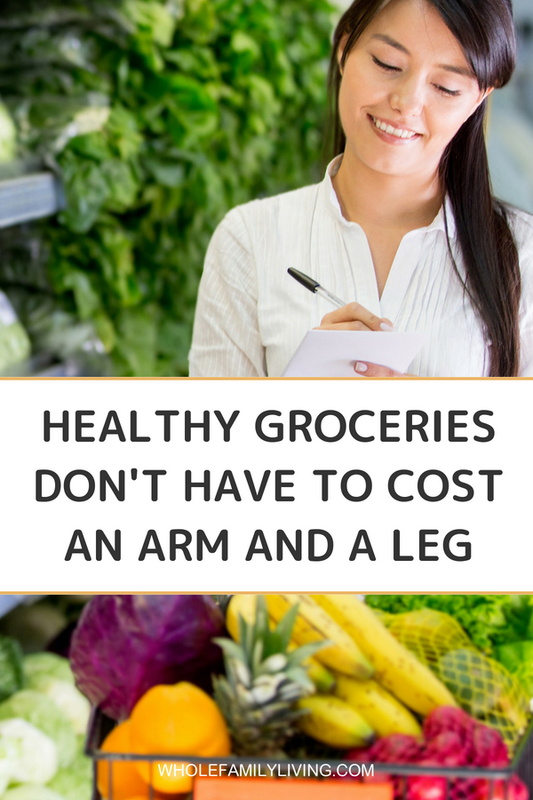 When you make a conscious choice to shop within a set grocery budget, you’ll be surprised how soon those impulse buys are no longer “must haves” and stay right there on the shelf. I hope these tips have shed some light on ways that grocery shopping can be a money drain (if you allow it!) and how you can avoid over-spending on your next trip to the grocery store. What smart ways are you cutting down on your grocery bill? Feel free to leave a comment with your community in the section below.